Free Weight Loss program. Pound for Pound Diet Low carb plan. The effortless way for men and women to lose weight easily! Why is it called PoundforPound? Will I put the weight back on? Do I need to exerise? Can I help spread the word? - a straightforward, to the point, weight loss strategy. The super effective weight loss plan that's totally free! No sign up required, no fees, no obligation. Simple. What is the PoundforPound diet? PoundforPound is a type of low carbohydrate diet suitable for men and women of all ages. It is designed to ensure you lose weight easily without willpower, exercise or hunger. You can forget about counting calories too! Below you'll find everything you need to know to start the PoundforPound low carb diet NOW, quickly and easily. You may be thinking of trying a "low carb diet", but don’t know where to start. You do know you want to lose weight, but probably don’t know exactly what carbohydrate is. We know the feeling – we have been exactly where you are now. That’s why we built this web site for you. Sometimes the internet is an information overload. It took us a long time to get our heads round exactly what you should and shouldn’t eat – which let’s face it – is what you need to know to begin your new diet. You could read some books. But, like us, you’ll have to plough through hundreds of pages of science and jargon before you understand what you should eat and more importantly what you should avoid. The mere concept of ‘diet book’ seems like a contradiction– authors seem intent on fattening up their books with jargon and fluff rather than getting to the point. We are going to do things differently: We will get you started on the diet straight away. If you want to know about the science, you can read about that later if you want. Much better idea isn’t it? What is the basic premise of the PoundforPound diet? All we are going to do is suggest the types of food which you can buy at any supermarket and which foods to avoid. The food you will soon be eating will be delicious, mouth-watering and satisfying! For sure, the foods we suggest you leave on the shelf goes against mainstream advice. There will be those who argue that what we say is wrong. But we are very clear about this. People who follow this diet lose weight – there is nothing more to say. Please do continue to email your success stories to us – this is all the evidence we require! Please note that at present the Pound For Pound diet does include meat so we are afraid vegetarians and vegans are not able to follow it. This may change in the future. We’ve included some of Kim’s great recipe ideas. This section will continue to grow. We do advise that you discuss this food plan with your doctor as there is no way for us to know your individual circumstances or conditions, eg diabetes. There is a possibility that a change in diet may affect any medication you may be on, and the best person to advise you on this is your doctor. We do not recommend this diet whilst pregnant or breastfeeding. What are the benefits of the PoundforPound diet? Even before you reach your target weight you will find that you are less tired, have more energy, and just feel better in yourself. You will be eating really good foods which leave you feeling satisfied. You will have no more feelings of guilt about what you eat. You will be able to look forward to a lifetime of health and a positive self image, rather than a prospect of gradual decline as you get older. Obesity is an indicator of many diseases including cancer. By losing weight you will be significantly less at risk. It's worth learning the following basic concepts before you begin. Carbohydrate is turned into Glucose by your body when you eat it. Your body will burn that for fuel. In the typical Western diet, the majority of our body’s energy comes from carbohydrate. You probably are not aware, but your body can run on two types of fuel: Glucose or Fat. By reducing the amount of carbohydrates you eat, your body will not have glucose to burn and will go into ‘fat burning mode’. PoundforPound diet directly targets your body fat. To lose weight on this diet you must cut down on carbohydrate. On this diet, dietary Fat is no longer a dirty word. Initially, this will be the hardest thing to accept when you follow our advice. But, as we keep saying, if you don’t believe it, just try it and see. Rather than suffer from hunger when we cut down on high carbohydrates food, we replace those calories with fat. Cheese, cream, butter, meat.... you will see these foods on the good food list. They will not make you fat when you avoid the bad food list. You will continue to eat healthy protein. You can read more about the three food types here. On this diet we don’t count calories. When you restrict carbohydrate, your body will start to burn the fat stored in your fat cells and use it for energy. You may find that you are eating less, but you will not be hungry. Because your body will be burning your fat for energy, it makes sense that you won’t feel the need to eat as much as you were before. Important: We suggest that you eat until you are full and satisfied and then stop. You will find yourself losing weight steadily each week until you reach your target. Isn’t the PoundforPound diet controversial? Yes it is. Many scientists say that it works, and others say it can’t work. They argue over how it's possible that people could lose weight while increasing the amount of fat they eat. It is easy to get embroiled in all the arguments. Our philosophy is simple. Don’t talk about it TRY IT! You’ll know for yourself within the first two weeks if it is working. If it works for you, tell your friends, see if they lose weight. If they do, then is it really necessary for a scientist to verify that it works? No, they can catch up when they are ready! What foods will I avoid? You will be eliminating a lot, but not all, of the carbohydrates you usually eat. Those you do eat will be of good nutritional value, eg vegetables. Once you have reached your target weight you can be less restrictive and will be able to maintain your ideal weight for ever. This list of foods to avoid may initially shock you – they are more than likely your favourite foods! High carb foods are addictive, so they have probably embedded themselves firmly on your ‘must have’ shopping list. Don’t give up yet though, when you see the foods you will be eating, you will be more than happy. To be clear, we are not saying the foods to avoid are intrinsically bad foods. But, we are saying if you want to lose weight according to our diet regime, then avoid them. Remember, these foods are being avoided because they contain a large amount of carbohydrate. Carbohydrate is turned into glucose and we want to avoid that glucose as we want to be in fat burning mode. The more refined or processed a food is the quicker it gets turned into glucose. The western diet has become more and more full of this refined food. For example sugar, white flour, pasta and white rice are far removed from what we evolved to eat. Have you noticed in the news that the rate of obesity is constantly rising, despite us being told to eat these foods? Coincidence? We think not. AVOID all food labelled LOW FAT. When a product is labelled low fat, they will have had carbohydrates added. You will notice that fruit and fruit juice are on the list to avoid. Whilst it is true that our ancestors would have eaten some fruit, the fruit would have been very different to what we consume nowadays. Selective breeding of fruits have made them much sweeter than their wild versions would have been. This means they are full of sugars. But don’t worry – vegetables are allowed and will supply you with plenty of nutrients that you need. Here is a list of the foods to avoid during your weight loss programme. Exercise is good for you, of that there is no doubt. It makes you feel better, it makes your body stronger. You know that. But, exercise is not part of this diet. You will lose weight whether you choose to exercise or not. You don’t need to be patronised and scolded to run around and burn off those calories. Truth is, if you are overweight, you might even damage your joints doing certain exercises. Why not lose the weight first, and then, if you feel like it you can do some exercise? We wouldn’t be surprised that you will feel so much more energised after you start to lose weight that you will naturally feel like getting fitter. If that is the case, then by all means do so - it will make you feel even better about yourself. Don’t become a slave to the scales! Your body is quite unusual in that everything is very carefully regulated, apart from the amount of water it retains. This can cause variations up and down on a daily basis. We suggest you weigh yourself now, then on a set day once a week. This will allow you to spot the trend of weight loss. We prefer doctor style mechanical scales so you can see the trend. Weigh yourself first thing in the morning before you eat. Even better, use a tape measure and write down your waist size, belly size and so on. Measurement is a more precise guide to your fat loss. OK, let's Get Started on your diet! Decide what your target weight is. Maybe refer to this BMI healthy weight calculator to see what your healthy weight should be. Look at the foods to avoid list. This can be reached from the 'what to eat' menu at any time. You must stop eating these foods immediately. Look at the good food list. This can also be reached from the 'what to eat' menu. If you haven't got these foods, get to the shops and buy eggs, meat, cheese, salad, butter and so on. You don't want to be short of foods you can eat and be tempted by the bad foods. Also have a quick glance at the meal ideas page for some inspiration. Understand that you will be aiming to eat no more than 35 grams of Net Carbs per day. To begin with, sticking to the good food list and avoiding the bad foods will keep you in the ballpark without having to calculate daily carbs. If you want to lose weight, then you must not exceed 35 Net Carbs per day. See How to work out Net Carbs of a food item. Begin your diet. Drink plenty of water each day. You may feel a bit groggy for the first three days. This is normal and will pass, it is just your body getting used to burning fat. After a week, check your weight. Have you lost weight? Yes? Keep going until you reach your target weight! Tell your friends about PoundforPoundDiet.co.uk! Will I just put the weight on again when the diet is over and I go back to my old eating ways? Simply put, yes you probably will if you revert to your old ways. The fact that you are now overweight shows that your metabolism is inclined to put on fat from what you currently eat. However, once you realise that the sugars and highly refined foods you were eating were making you fat, you will not want to go back to eating them in the same quantities. When you have reached your target weight, you can slowly start re-introducing some nutitious carbohydrate foods. It’s just a matter of monitoring your weight each week to see how much you can tolerate without putting weight back on. We think you will feel so much better when you have lost the weight that you will not want to go back to eating exactly how you were – it will be a lifestyle change. Most importantly. understand that once you have lost weight, continue to avoid highly refined carbohydrates. Refined carbohydrates include sugar, white flour, white rice, and most breakfast cereals. Choose instead to eat 100% wholemeal bread, brown rice and wholemeal pasta and vegetables and fruit. Use artificial sweeteners instead of sugar. Introduce high quality carbs back into your diet and weigh yourself weekly. If your weight is stable, you can gradually increase your intake until you find your equlibrium. Certainly, you will find that after you have lost weight, you will be eating a more normal diet again. The bottom line is that the modern scourge of obesity and diabetes is caused by eating highly refined carbs. By eating the unrefined, natural versions, you will be getting more nutrients from your food, and avoid the sudden changes in blood sugar you get from eating highly refined foods. Why is it called the PoundforPound diet? We are sure that this diet will make you lose pounds and feel better about yourself. We are raising some money for the Action for Children children. We like the idea that you decide yourself what you think it was worth to get a slimmer, healthier body. Therefore there is no fee whatsoever for using the diet information on our website. If you lose weight, we ask you to consider using the ‘donate’ page. We suggest a donation of a few £’s or $’s for the pounds you lost, after you have lost them. Whatever you donate, we hope you agree it is a small price to pay compared to health spas, gyms, weight loss clubs etc. You will be slimmer, happier and healthier. 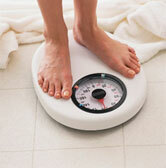 We will feel great that you have lost weight and have benefited. If you choose to support us – you'll be helping more people like you to a healthy future. **BREAKING NEWS** The author of this website, in collaboration with Professor Richard Leach, has written a new book 'Mass Delusion - 100 Low Carb Lifestyle Secrets' which contains much of the information on this website plus many more tips for maintaining your low carb diet lifestyle. Who runs the PoundforPound diet website? PoundforPound is a website and information resource created by husband and wife team Justin and Kim Whittaker from Devon, England. We initially decided to try a low carb diet out of curiosity (and scepticism to be honest). After reading about those who said it worked and those who said it didn’t, we decided there was only one thing for it: Try it and see if it works. We read the research and came up with an eating plan. We followed it, and lost weight. During our weight loss, Kim was doing some exercise, Justin did no exercise apart from walk the dog every day as usual. Justin, at 6ft 4 inches, dropped from 17 stone 10 pounds to 14 stone 8 pounds. Kim, at 5 ft 4 inches went from 9 stone 9 pounds to 8 stone 7 pounds. The weight came off a pound or two each and every week and then stabilised. Justin's BMI (body mass index calculation) now indicates he is in the 'healthy' weight range, where previously he was 'obese'. Our blood pressures are lower than when we started and are in the healthy range. As we write this, Kim has just had her blood tested and showed her cholesterol is healthy. We both feel great. We are continuing with this diet, but the word ‘diet’ for us now means ‘lifestyle’ – we do not want to lose any more weight, but neither do we want to gain it. What we are trying to do here is simply distil what we have learnt from multiple sources, and get you up and running on your diet. We need to make it clear at this point that neither of us are qualified doctors or dieticians. Although we would love to hear of your successes, we are not qualified medical professionals and cannot answer medical queries. We apologise in advance for this and hope you understand.